How’d you get him to smile? hey KomMotor they are friends. the word couple is one valid for two opposing gendre. Nice picture but Kanye is all emotions. He doesn’t think before he talks. So cool! Great picture of you two! =) Any cool tidbits about Kanye in real life?? Please share! good thing always marketing his self. Reblogged this on En Plein Air. Pause! Had to do more than a “double-take” to be sure that photo was both Matt and Kanye posing together! Thanks for sharing! Hey Kanye, how lucky you are. I live in Israel, so no chance to meet a celebrity here. So much for fairness in this world! Hip-hoppers don’t smile that often, (at least where there’s paparazzi or anyone like that around) so getting a pic of him smiling is really unusual! I thought I remembered Kanye being more slight, as far as his build is concerned. Such a down 2 earth person, kanye rocks! Was this before or after helping with his proposal plans? Such an inspiration. Love Kanye. Reblogged this on Jackson Media Films. I thought the post-it notes were interesting! Who has the obsession, Kanye? Haha, interesting. We all have our “thing”. Thanks for sharing. My goodness! That must have been such a neat encounter. [ Laughs ] Lucky you; you actually met Kanye West. So, this is what it is like to be Matt Mullenweg! 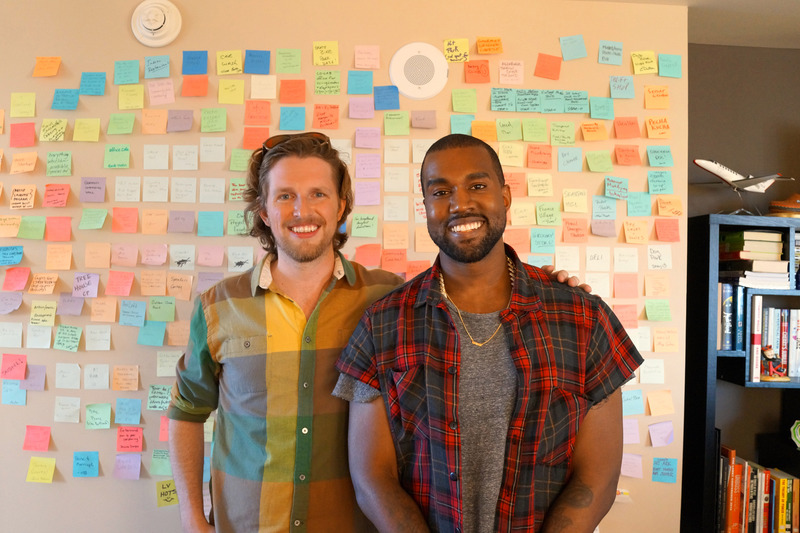 Pingback: With @kanyewest, great guy to meet | Qaseem the Curasator's Website! Are adding to the beauty of the colors. The bond of friendship is to increase their power, the world is rapidly losing the relationship.